Hockey Kids fundraising to help Gillette Children's Specialty Healthcare. 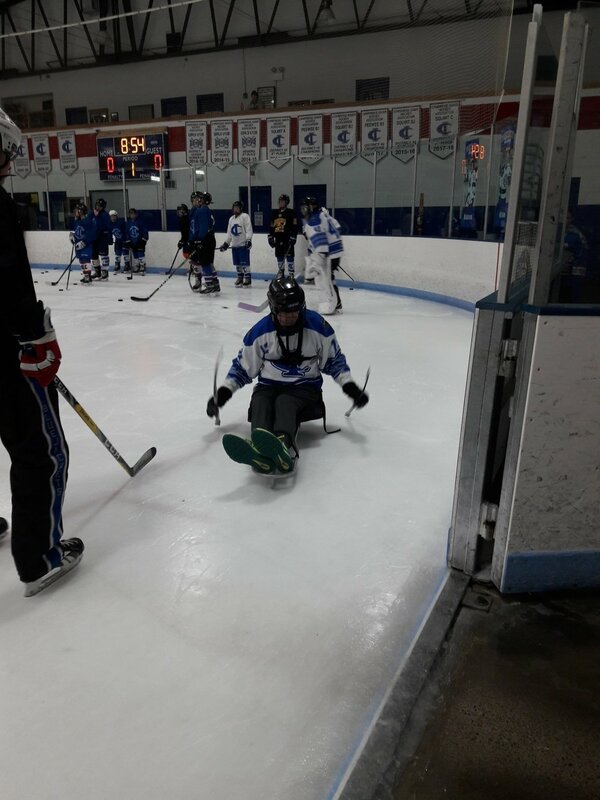 Hiway Hockey Kids4Kids encourages youth hockey players to use the teamwork and leadership skills they practice on the ice to come together and raise funds for kids with disabilities and complex medical needs. Youth teams are encouraged to come up with creative fundraising ideas that promote teamwork, empathy and community involvement that will support the work of Gillette Children's Specialty Healthcare in St. Paul, MN, while also having the chance to win a great prize package compliments of Hiway Federal Credit Union and the Minnesota Wild. We’d like to congratulate the Osseo Maple Grove Squirt C White team for raising just over $900 for Gillette Children’s and being drawn as the team to win a team party in a suite at a Minnesota Wild game. We'd like to extend a HUGE thank you to the youth hockey teams that joined this effort and helped us raise nearly $31,948.68 for Gillette Children's Specialty Healthcare. All teams that register and submit their raised donations via their RallyMe, Hockey Kids4Kids donor page will have the opportunity to attend one of two skate parties at the Xcel Energy Center, dates TBD. Teams raising $500 or more will be included in the Grand Prize drawing for a team party in a suite during the Minnesota Wild game on Sunday, February 24, 2019. Team registration for this season is now closed. Thank you to all the teams that registered to raise donations.